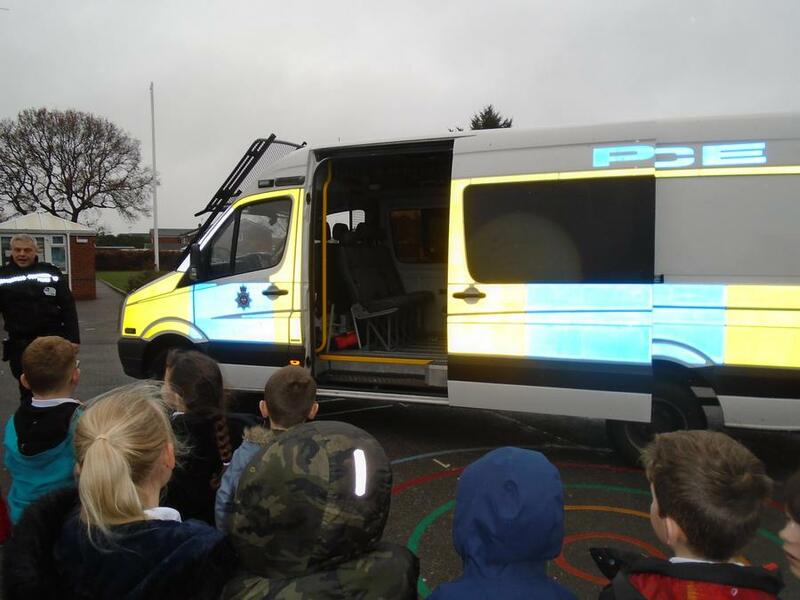 Hazel Class - Crime Investigators! Thank you to Sgt. 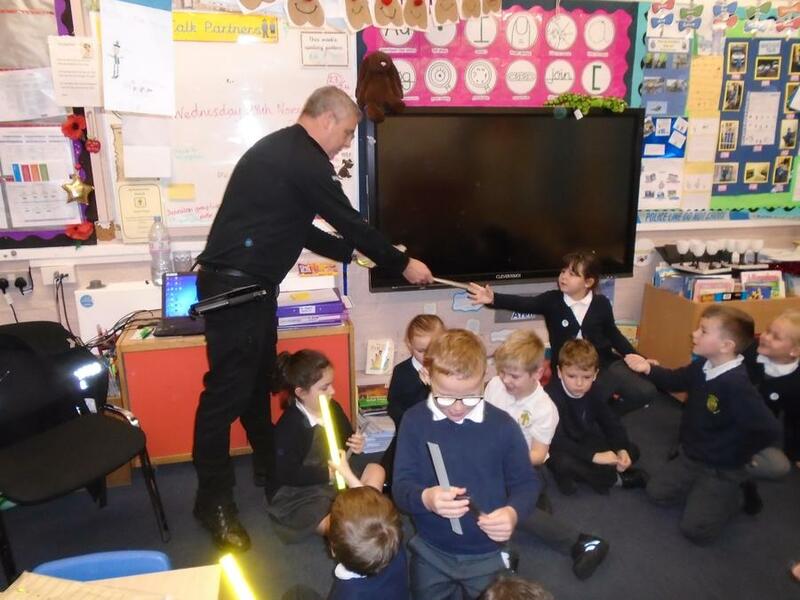 Cook who talked to Hazel Class about dealing with crimes as part of their topic. 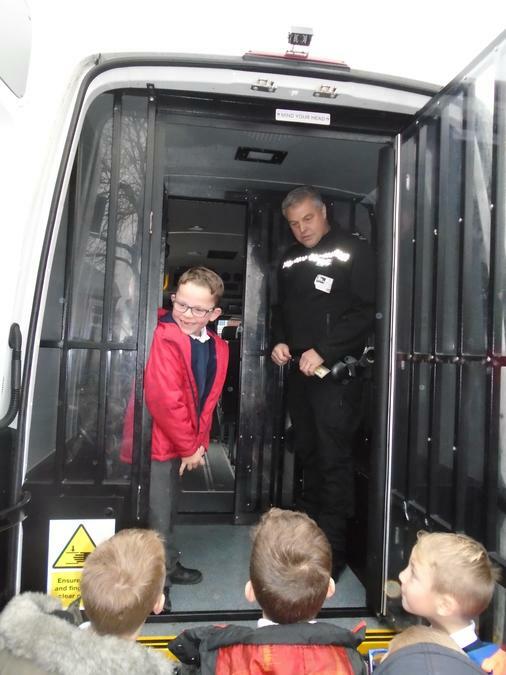 They were able to have a look around his police van and he showed them how fingerprints are taken.